My wife Christa and I live in Murfreesboro TN with our 2 Children (19 and 3) and have been in TN for 23 years and have been married for 18 years! We absolutly LOVE Gatlinburg, and have visited several times a year ever since we were married. We have always wanted a cabin there, but didn't want one that required a SUV to get to, or took 20 minutes driving steep, winding roads getting to from Gatlinburg. 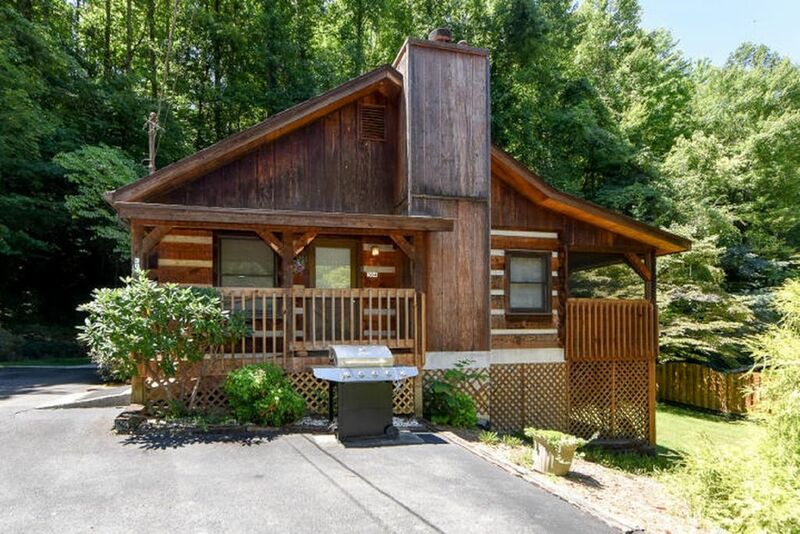 "Our Time" was the PERFECT cabin for us because we are 1 mile from the Aquarium & downtown Gatlinburg, in a quiet community, but still has privacy with a nice yard and trees around us. Our family now visits Gatlinburg more than ever to go hiking and enjoy the peace and tranquility of the Smoky Mountains. "Our Time" is unique because it is 1 mile from the Aquarium & downtown Gatlinburg, in a quiet community, but still has privacy with a nice yard and trees around us. It also has a mountain view from the screened in porch. There are no dangerous, steep, winding roads to traverse getting to the cabin, and there's a great BBQ and Pancake place 2 minutes from the Cabin. Mountian View Hot Tub Screened Porch Gas Fireplace Gas Grill High Speed Wireless Internet 3 Flat screen TV's DVD Video Games. Combo Tub/Shower in bathroom, Double Vanities in washroom with Washer/Dryer. Granite Countertops, Cabinets stocked with Dishes, Pots & Pans, etc. Eat in Kitchen Table seats 4. Table Top, Pac Man, Defender, Etc... Multiple old style games built in. Great cabin for our family of 3! It had everything - full kitchen, bathroom, hot tub, and video game. The town was crowded due to spring break, so the cabin was a quiet escape. My husband and I had a wonderful time. Perfect distance to downtown! Highly recommend. My husband and I had a wonderful time. The cabin is cute & cozy and the neighborhood is quiet & perfect distance to downtown. There are also several hiking trailheads within 15 minutes away. The hiking was great and downtown was awesome. So much to do! This was our first time to Gatlinburg and we will definitely be back. Property was clean and close to town. My wife and I walked to town without any issues. Hot tub was a nice treat on a rainy day. We loved this cabin! We will definitely be back! The owner was very helpful and provided very thorough instructions and help when we couldn’t get the fireplace going. The cabin was clean and well maintained. We really enjoyed ourselves. However fireplace would not light. Kitchen faucet acted weird and stopped flowing at one point. Then started working again.